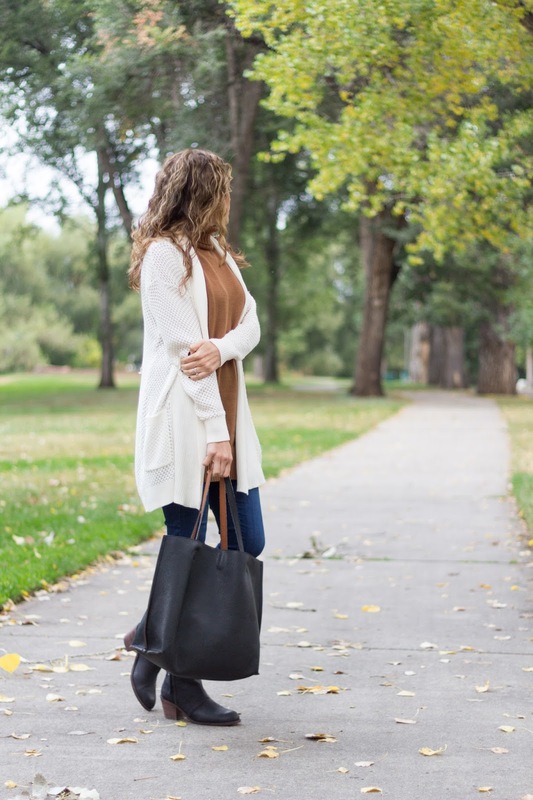 Leah Behr: Fall Casual + A Giveaway!! Fall Casual + A Giveaway!! Keeping it simple today with a casual weekend outfit. I know it's hard to tell in these photos, but I'm actually wearing a sleeveless turtleneck aka my latest fall fashion obsession. The sleeveless turtleneck is the perfect transitional piece. 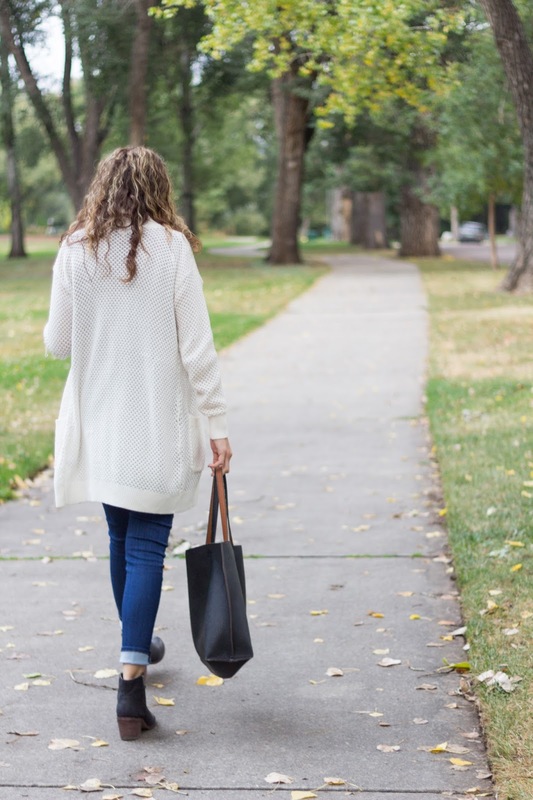 It's perfect to wear with a lightweight sweater when the mornings are cool, and you can throw off that sweater when it heats up to 80 degrees at high noon. By the way, expect to see a lot of these boots around these parts. They go with everything! They come in 3 colors, but are selling out fast, so don't wait! What a great giveaway! I'm loving this outfit, especially all of the warm fall colors. So cute Leah! Love the sleeveless turtle neck! I need to break down and buy one! Great boots!! Cute outfit! I love your booties. Are the comfortable? Are you wearing them with socks or barefoot? They are so comfortable! Like seriously, my new favorites. I'm wearing them with socks here, but I've worn them without as well. Such a cute outfit for fall- loving those booties and jeans!! Casual done so right! Love all these neutrals together! Perfect color combo! And, I would love to win a Chloe bag! You're right! I bet those booties would go with everything with brown and black in them. And I totally want a sleeveless turtleneck sweater for fall. Great for layering! PS. Thank you for the love! Such a cute outfit! Sleeveless turtlenecks are also one of my obsessions for fall! That cardigan looks so cozy! I want!! I love this layered look, so perfect for fall! Thank you for this fantastic giveaway anf for open it to the international!